Looking for affordable dentists in Angeles City? This booming city is the entertainment capital of the Philippines, with a dynamic nightlife to investigate after your dental care is complete. Rich in history, the city has an affinity with the United States due to the large number of military personnel stationed here in the 19th and 20th centuries, many of whom chose to make permanent homes here. Naturally, a whole industry grew to provide entertainment to the troops, and what was once an unassuming provincial town has transformed into the entertainment mecca of today with an ever-growing number of bars, clubs, restaurants and other nocturnal establishments. The main action centers on Fields Avenue and Balibago, and as the sun sets the area bursts into neon life. If partying is your thing then this is where it’s at. Balibago is renowned for its shopping malls, first-rate hotels and world-class restaurants – and the city, as well as the Pampanga region – is considered the culinary epicenter of the Philippines. The neighboring Clark Freeport Zone also has a decent share of upmarket hotels and duty-free shopping, as well as casinos, and sporting attractions such as exquisitely maintained landscaped golf courses and drag racing. Away from the hustle and bustle of the city, you can find tranquil spots with beautiful scenery to relax in and re-charge your batteries, including Mount Arayat National Park and Candaba – a sanctuary for migratory birds where you can spot visiting birds as well as indigenous species. 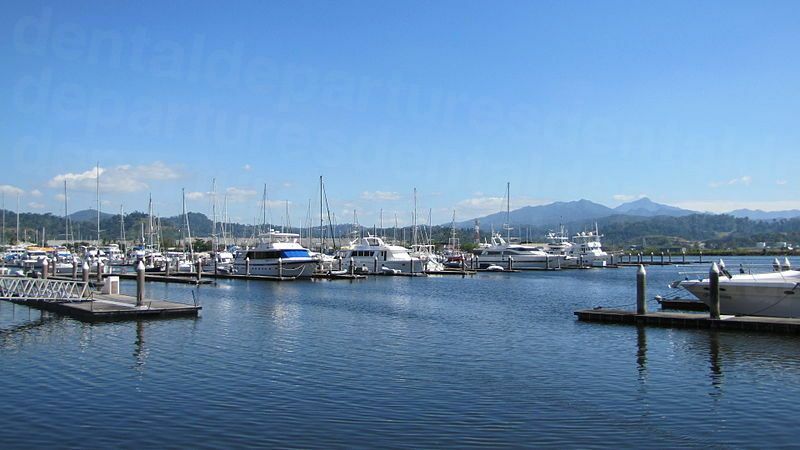 There are also beaches not too far away, including Subic, a former US naval base that is now a beach town. There’s no question that Angeles City offers visitors a lively option, whether just passing through or staying in the City for a while longer. As you would expect in any large city, dental expertise can be found here, with modern clinics offering patients a comprehensive range of quality dental treatments, for a fraction of the price most foreign visitors would pay at home. Angeles City is in the Central Luzon region of the Philippines in Pampanga province. It is around an hour’s drive away from the country’s capital, Manila. Why Visit a Dentist in Angeles City? An excellent country to visit as a dental tourist, the Philippines is a beautiful holiday destination, peppered with European and American influences throughout the culture – legacies of the Spanish and American occupations – which permeate through every aspect of life, including medical and dental care. Angeles City is no exception, and as well as establishing itself as an entertainment center for American troops, it also follows that good-quality services for health and education also grew in response to the local clientele. Filipino dentists are well trained and must be members of the Philippine Dental Association to practice, and are registered and regulated by the Phillippine Professional Regulation Commission. As it is difficult for foreign patients to know whether this means regulations are as stringent as they are at home, many Filipino dentists will also be members of more familiar-sounding organizations, such as the American Dental Association, or international organizations, such as the International Congress of Oral Implantologists so patients can compare like-with-like. The high prices of dental care in Australia reported on early in the decade are still proving unaffordable. So, paying for low-cost dental care on a holiday is one way of getting the dental care you need. As you would expect in such a popular tourist destination, the accommodation options in Angeles City are vast. Luxurious 4-star hotels with every amenity to backpacker hostels providing basic accommodation offer something for every budget – from less than AUD $20 a night to sky’s-the-limit. Our dentists are in easily-accessible locations, and many also offer free hotel pick-ups or airport transfers – just ask our Customer Care Team for further details. There are no specific travel advisory warnings from any western governments about travel to Angeles City and yes, it is as safe to visit as any other city in the world. Do just bear in mind the usual common-sense precautions you would take in any unfamiliar city – stay in well-lit areas, don’t flaunt valuables and don’t get too inebriated and leave yourself vulnerable. Is the Quality of Dental Care the Same as Back Home? Yes – the standards of dental care in the best clinics are on a par with what you would find at home, with the caveat you choose a reliable dentist and clinic, and preferably one that has already been quality-checked. The Internet has made it easy to find out all sorts of information about all sorts of services abroad – and dentistry is no exception. The challenge is knowing what information you can depend on, and what you can’t. This is where Dental Departures comes in. We have made it our business to find trustworthy, good-quality dentists overseas. Our background checks include legal and criminal records, verifying qualifications and professional memberships, confirming prices and publishing real patient reviews, high definition clinic photos and virtual tours on our site so you can make your own mind up. Search our listings and take a look at popular clinics like Bonifacio Dental Center and Smile Makeover Dental Aesthetic Center. Affordable, good-quality dental care is within your grasp – you just need to do your research and know where to look. 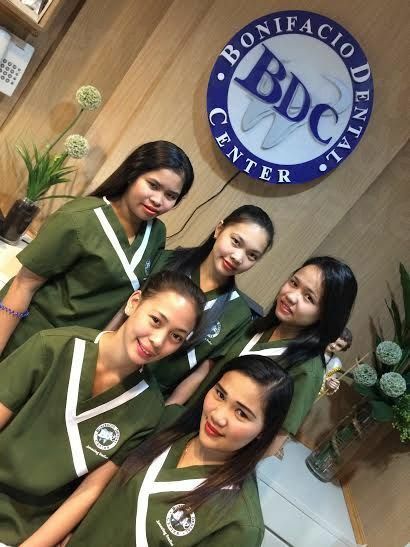 All our clinics in the Philippines have guarantees or warranties on the work they do, as well as on any lab work carried out, for example, if you have had a crown, veneers or dentures. We make every effort to ensure our dentists provide consistent and reliable services, which is part of the reason we do our quality checks. However, no matter how skilled or highly-qualified your dentist is, things can and do go wrong from time-to-time as no medical or dental procedure can ever be guaranteed to 100% - human bodies are all different and we react to things differently – we’re all individuals, after all. If something does go wrong, Dental Departures is here to help. We will act as your advocate and contact the clinic on your behalf to make sure that any problem is put right. It is worth remembering that while our dentists’ guarantees and warranties will cover your dental work, it doesn’t cover any additional expenses, such as travel or accommodation charges. We would recommend taking out additional medical complications insurance to cover you in this eventuality. We have teamed up with some insurance providers who can give you complete peace of mind for a small premium. Yes. English is one of the two official languages in the Philippines and the majority of the population speak it as it is taught in schools as well as being the predominant language used in business. Cash is universally accepted and most clinics offer one, or all, of debit/credit cards, personal/traveller checks and bank transfer. If you are anticipating paying by some other method please check the clinic’s individual payment policies on our websites. Please note that credit card payments usually incur a processing fee of 3-4%. If your dental insurance provider allows for ‘out-of-network’ care, even though your dentist in Angeles City will be unable to claim direct, you may be allowed to claim back the charges upon your return home. This is a common feature of US and Canadian insurance, but it may not be quite so for other countries. If you are unsure, the best thing is to ask your insurance provider in good time before you travel. If they will agree to reimburse you be certain to obtain all the appropriate documentation and forms to bring with you. When is the Best Time to Visit One of Our Dentists in Angeles City? Most of our dentists are open the year round, save for holidays such as Christmas and New Year. If budget is your concern then it is obviously advisable to book in the low season, but you should be aware that, being a tropical country, there may be extremes of weather at certain times of the year. Angeles City is wet mainly from June to November, but dry throughout the rest of year and typhoons may be a problem from July to October. However, in the same way the Caribbean experiences problems during ‘hurricane season, it doesn’t deter people from taking advantage of off-season discounts. Is Angeles City Wheelchair Accessible? It may be difficult getting about in some parts of town due to the sheer number of people, and at night you might find it difficult to spot obstacles. Many roads do not have sidewalks. Disabled facilities are not commonplace on the streets and even shopping malls sometimes lack designated bathrooms or wheelchair-friendly ramps. The newer hotels are much more wheelchair-friendly, and most of our clinics are accessible and some provide pick-up services from your hotel. Do get in touch with us if this concerns you as we can always find a way of getting you to our dentists. Although prostitution is illegal, in certain areas of Angeles City it is quite blatant, and it can be rather off-putting, as well as the extremes of poverty. Although Filipinos are friendly, do not be hoodwinked into being taken to a new bar, or to play cards somewhere – keep your wits about you and don’t be too trusting of strangers. If you stay in good neighborhoods and don't go out actively looking for trouble, you will be safe in Angeles City. What Else is There to Do in Angeles City? Angeles City is all about entertainment, but it’s not just the nightlife that keeps people coming here. You will discover plenty of leisure activities in the daytime. Sporting activities are well covered. Trekking and hiking enthusiasts can embark on day or overnight trips to Mount Arayat from November to May and at Mount Pinatubo there is hiking and 4 x 4 jeep rides, taking in rocky rivers, lakes and villages inhabited by some of the oldest indigenous tribes in the country. You can also get a birds’ eye view of Mount Pinatubo from the air at one of the flights departing from Clark Field. Minutes from Balibago is the Deca Clark Wakeboard complex, where beginners are given free instruction on the basics, and at Ka Boom Ka , the travelling amusement card located near Clark Veterans Cemetery you can experience all the fun of the fair on rides including bumper cars and a Ferris wheel. The Fontana Leisure Parks in the Clark Ecozone offers one of the country’s largest integrated complexes, and with a water park, boating, fishing, wellness center, golf, shopping, a casino, accommodation and restaurants are bound to offer something for everyone. Angeles City is served by Clark International Airport in the Clark Freeport Zone, but it tends to be budget airlines from other Asian destinations that fly here. Most other international travelers arrive at Manila’s Ninoy Aquino International Airport (NAIA). A taxi from Manila is around an hour’s drive, and reasonably cheap. Taxis - are less common in Angeles than Manila, and primarily used by tourists. You can mostly find them around the Clark Freeport Zone for traveling t and from the airport. Jeepney – The most affordable and convenient way of getting around is to hop on one of these old WWII modified jeeps. Available round-the-clock, hail a jeepney as you would a taxi. Trike – A motorbike and sidecar. Great for short hops, but larger passengers may find them uncomfortable. How Do I Book an Appointment in Angeles City? You can find your dentist in Angeles City on our website. When you have made your choice, book an appointment online, or chat with one of our Customer Care team via online chat or our toll-free phone number. 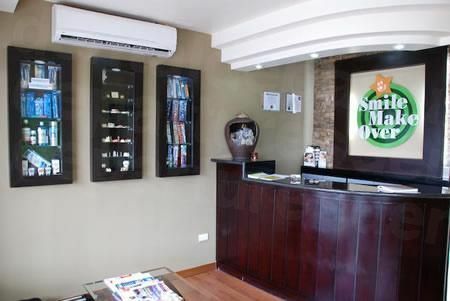 We make it easy for you to find quality-checked dentists in Angeles City – see our real patient reviews, high-definition clinic photos and check our dentists' qualifications and experience. Book the best dentists at the guaranteed best prices and find a world of affordable, high-quality dentistry at your fingertips. The Philippines. https://www.lonelyplanet.com/philippines Website accessed 23 November 2018. Rundle, Guy. https://www.crikey.com.au/2013/01/18/rundle-extortionate-dental-care-is-our-national-disgrace/ Crikey. 18 January 2013. Balasubramanian, M and Holden, A. Dental Tourism: Things to Consider Before Going that Extra Mile for Your Smile. https://www.abc.net.au/news/2018-10-25/dental-tourism-overseas-dentist-cost-of-dentistry-thailand-india/10427136 ABC. 24 October 2018. 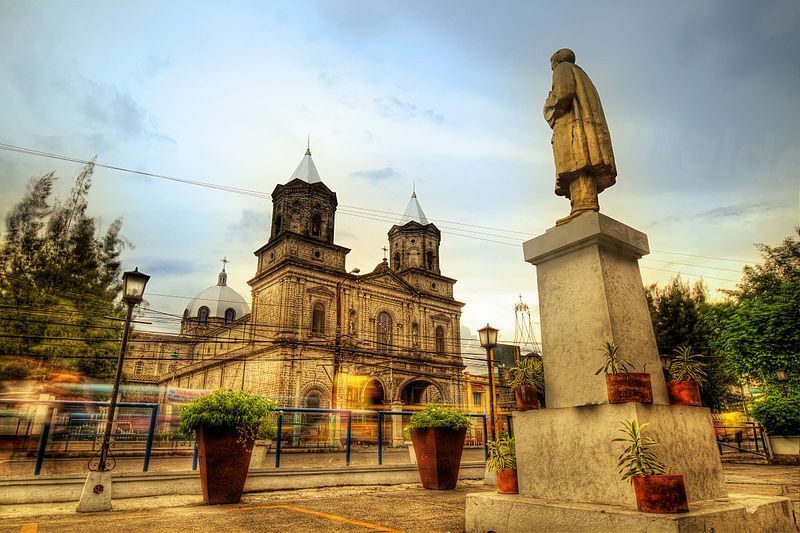 15 Best Things to Do in Angeles City (the Philippines). https://www.thecrazytourist.com/15-best-things-angeles-city-philippines/ Website accessed 23 November 2018.